After my unfortunate encounter with and the after-effects of using Tarte Maracuja C-Brighter Eye Treatment, I was looking to get an eye cream that would heal my irritated lids and prevent moisture loss in our cold Canadian winter. Shiseido’s Intensive Eye Contour Cream did what I was hoping for. It is a superior moisturizer that lasts all day. The fine lines I developed with Tarte’s Eye Treatment are gone. I no longer have any inclination to rub my eyes due to dry skin – skin feels comfortable all day. Although Shiseido’s cream is not thick at all, if I touch the eye area, I can still feel it at the end of the day. I do not mind this, especially as underneath makeup in prevents creasing. Benefiance WrinkleResist24 is the best eye cream that I have tried so far. I only wish it helped with dark circles, but this want is not in the cream’s claims. 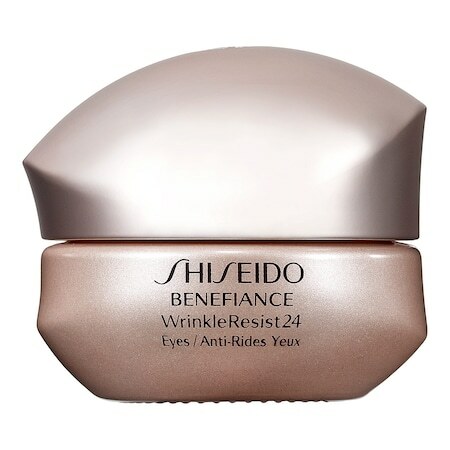 Shiseido Benefiance WrinkleResist24 Intensive Eye Contour Cream: 0.51oz (15ml) for $65.00 @ Sephora.ca.